YEP Clubs develop action projects for left-behind children — CitizenC. 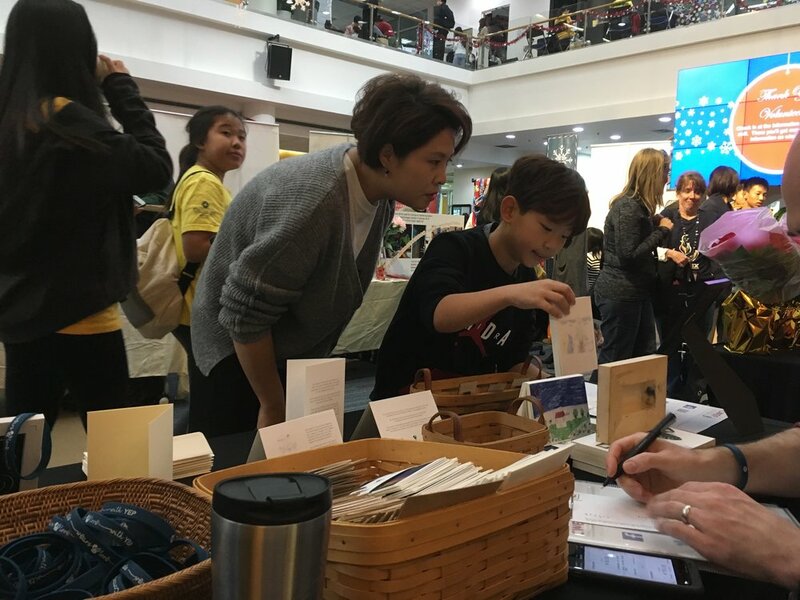 This fall, the middle and elementary school YEP (Youth Empowering Progress) Clubs deepened understanding around the issue of left behind children in China. 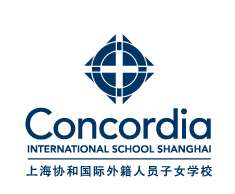 We learned that CWEF (Concordia Welfare and Education Foundation) has a connection with Shining Star Organization in Guangdong. Under the direction of Summer Tan, Shining Star provides education through a GROW program directly benefitting left behind children of migrant workers. The GROW program provides education for these children. Our students conducted an interview with Summer. We realized one of the ways we could benefit the GROW program students is by supporting their English learning. YEP members brought in like-new books and recorded their voices reading each story. Each audio recording was made accessible by a QR code, which was placed inside each book. 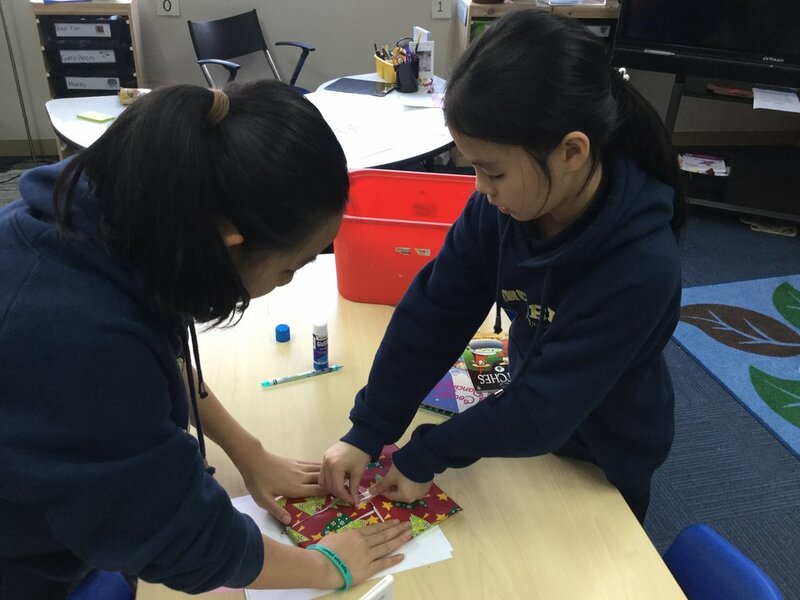 In order to spread Christmas cheer and build connection between the YEP Club and the GROW program, students wrapped up the gifts to send off to Guangdong. “Santa’s Elves” (aka Summer Yu & Tanya Wu) will be delivering the books to the GROW program students soon! How exciting! In addition to this, ES & MS YEP members served at the Christmas bazaar booth, raising money for CWEF projects. Artwork, inspired by Shining Star students, was sold in the form of Christmas cards, notebooks, etc. This has been a fruitful semester for our YEP Clubs and we look forward to partnering more with Shining Star in the future.